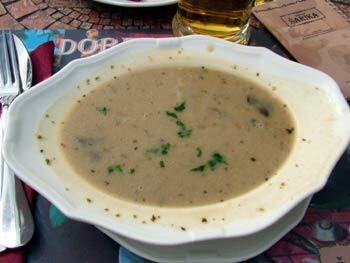 Restaurant Sarika (pronounced: Shah-rea-ca) is a new eatery located in the heart of Maribor pedestrian area. Well, this perhaps needs a bit of explanation. 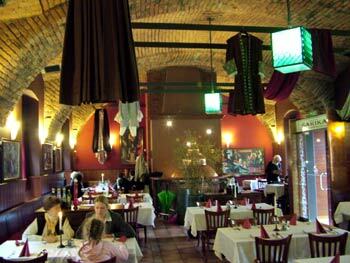 During our 2008 Easter holidays in Maribor we were pretty surprised when we went for a drink to legendary Stajerc and instead found a new restaurant. It's got a new owner, a refit and is now called restaurant Sarika. For a few minutes I was quite sad about that but I soon realized that this change is far from bad. The summer terrace with beautiful new furniture and the interior look even better than before. All fine but I didn't want to make any conclusions before I ordered something to eat and drink. A bit nervous but I was happy to notice that coffee is still good, beer as well, I tried some cake too and it was delicious. But the verdict was still awaiting a real test. After a few days we decided to revisit the restaurant during lunchtime. 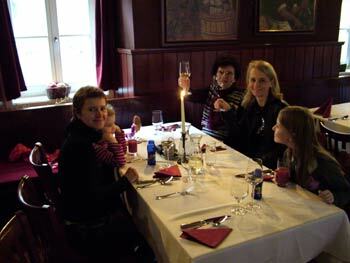 The food in former restaurant Stajerc was always good. 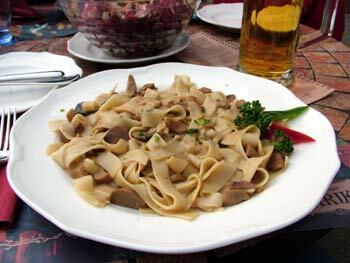 They were well known for their traditional Slovenian dishes and I was expected the same quality from the new restaurant. Milan got the absolutely delicious noodle soup. really, really fantastic (picture taken on our second visit). by now that it was brilliant (picture taken on our second visit). 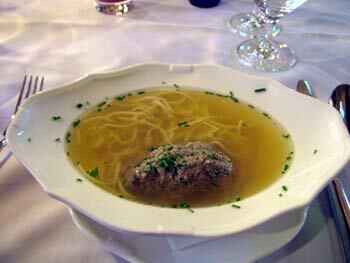 I decided to eat something really traditional Slovenian. 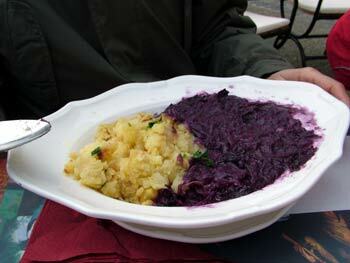 The red cabbage with fried potatoes. and eat it again (picture taken on our second visit). he was enjoying every single bite. place with swift and helpful service. 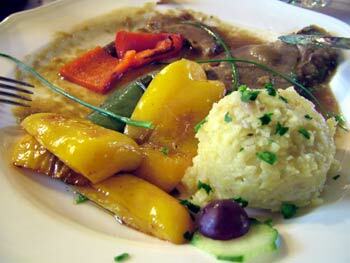 Before we left Slovenia and Maribor we went back to Sarika one more time and had another delicious lunch there. The food we ordered was once again marvellous and this prompted us to become their regular customers so expect an update from our 2008 summer vacations. This is a decent restaurant where quality of food outmatches prices. To put in a perspective, $60 or €40 will be sufficient to have a three course lunch for two. Is that a lot? Definitely not for the kind of food and service we received!